Costumes encouraged and props provided! Fasten your garter belt and come up to the lab and see what's on the slab! It's a screamingly funny, sinfully twisted salute to sci-fi, horror, B-movies and rock music, all rolled into one deliciously decadent morsel. 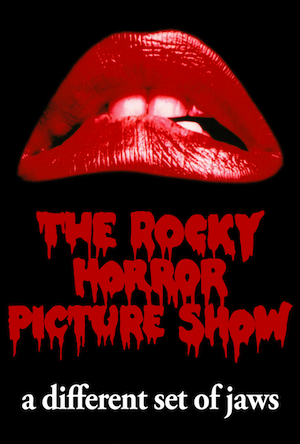 The madcap, musical mayhem begins when rain-soaked Brad and Janet take refuge in the castle of Dr. Frank-N-Furter, a transvestite mad scientist from outer space who is about to unveil his greatest creation - and have a bit of fun with his reluctant guests! Join Tim Curry, Barry Bostwick, Susan Sarandon and rock star Meat Loaf in the most popular cult classic of all time.